We’ve selected a list of suggestions to assist the fresh graduates. Stay positive that you can hold out yet you do not have any prior work experience. Initially, make sure you set your full name, email address, contact number together with the address that you frequently review. Double check these credentials since you might seldom miss a letter or type errors. Alongside, write your career objective. Don’t be scared to write an objective. We are not suggesting you to shrink it. Simply explain the possible employers that you possess a sense of place of where you require to be. Indicate your domain of interest and your goal, entry-level job title or abilities. 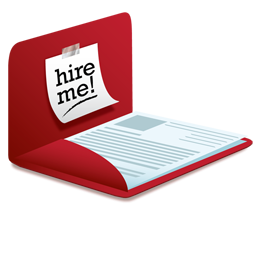 Once you are satisfied with your career objective in Resume , pass on to your Scholastic Credentials. While writing your education details, do not forget to define your University/Institution name, year of passing, higher degree in chronological order. Further you need to specify the related courses that meet your objective along with a some important projects you might have done within your area of interest. Be able to discuss those if required about them in an interview! Internships come following. Internships show that you took the lead and were not scared to hit into a real-life job experience. Jot down what you have learned from that experience and what you have accomplished. You could also attach relevant abilities gained. In addition to the three resume parts, you might want to add a section for your volunteer work experience or one for personal information. This provides a sense of your personality and character. Moreover, you could also prefer to add a few references. Make sure that these references are informed that you are providing in their details. Finally, as a fresh graduate, you want to hold your resume length restricted to one page to one and a half pages as a maximum.